So you’ve saved and budgeted for your trip and now it’s finally time to plan your itinerary. Six months of travel time stretches out before you like a magic carpet. So many opportunities to explore exotic locales! So much time to explore all those places on your bucket list! Ahh, your bucket list… How many boxes will you be able to check? You have six months. Why not do the Inca Trail, explore Patagonia, go shark diving in South Africa, eat dumplings in China, climb Mount Kilimanjaro, go to a full moon party in Thailand and find yourself at an Indian ashram? Hell, you should probably throw in an Italian cooking class and a camel riding in Morocco for good measure. It all sounds great. Until, of course, you hit the brick wall of reality. Travel can be hard, frustrating and draining. 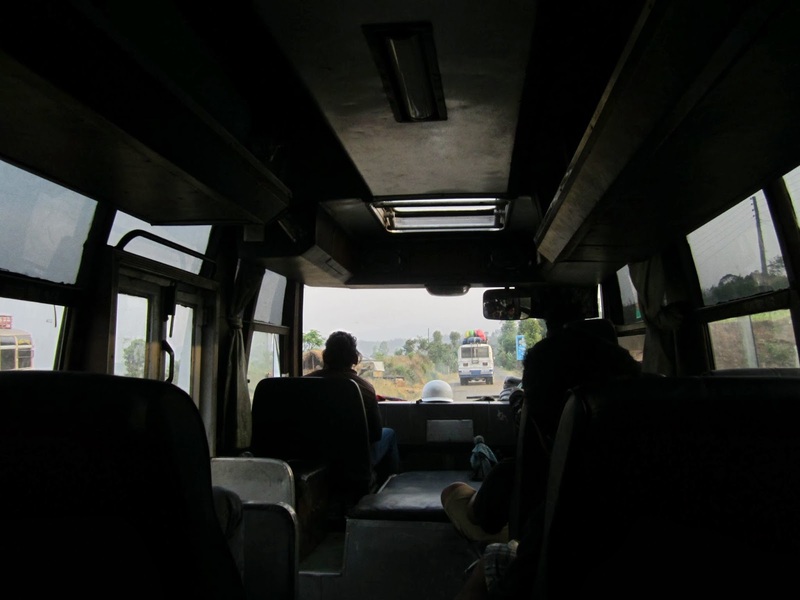 You start to think about that into your second day into a thirty-hour bus ride in Nepal where the space between the seats was apparently designed to be perfect for two-year-olds and there’s a box of meat rotting in the back. Or when you arrive in your fourth Tanzanian town and every single local is trying to cheat you for forty times the proper cost of accommodation. Or maybe when you get violently sick in the middle of the wilderness with no hospital (or road) for days. These are the times when you start to appreciate two magic words: less and longer. Less really is more. Don’t stack your itinerary. It’s far better to spend two months than two weeks in any given country on your list. And in that country it’s far better to spend two weeks rather than two days in any given city or destination. By doubling down on particular places you kill two birds with one stone. First, because you’re in one place for a long time you’ll find that perfect beach bungalow owned by the local mayor’s family and get invited to a massive wedding party where you make friends for life. If you were only there for two days you’d probably be at that guesthouse with decent but outdated reviews from Lonely Planet that now has a cockroach infestation. Second, you minimize your exposure to the bane of all travelers: logistics. You don’t spend half of your time in country on a local bus. You don’t discover that your fourteenth taxi driver rifled through your bags. You don’t loose you luggage on an avoidable regional airline flight. You've taken six months off, use that time wisely: with less and longer you'll interact more with locals, enhance the quality of your experience and maintain very healthy levels of personal relaxation. Basically, you’ve taken the work out of the travel. By staying longer in each place you actually get a feel for the local life there instead of blazing through in a series of photoflashes. As you get ready to plan your trip, doing a country a month would be a good rule of thumb. You may not check as many boxes but you’ll learn a lot more about yourself, a lot more about the country you’re visiting and a lot more about the true meaning of fun!